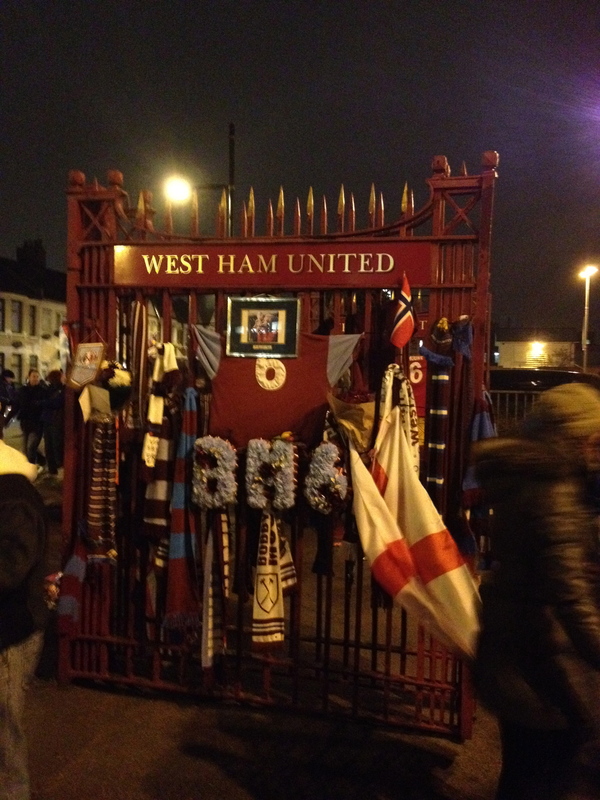 The West Ham Gates – Done up for Bobby Moore who was a long time West Ham player. He died 20 years ago at the age of 51 from cancer. Pele said he was the best defender he ever played against! My perfect kind of hero.